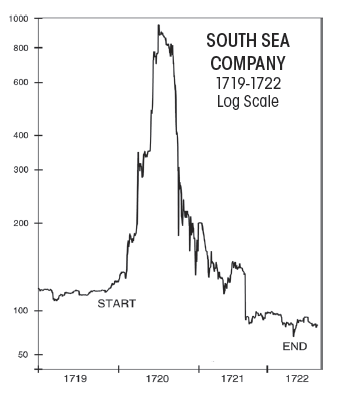 The South Sea Company was a British joint-stock company founded in 1711, created as a public-private partnership to consolidate and reduce the cost of national debt. The company was also granted a monopoly to trade with South America, hence its name. At the time it was created Britain was involved in the War of the Spanish Succession and Spain controlled South America. There was no realistic prospect that trade would take place and the company never realised any significant profit from its monopoly. 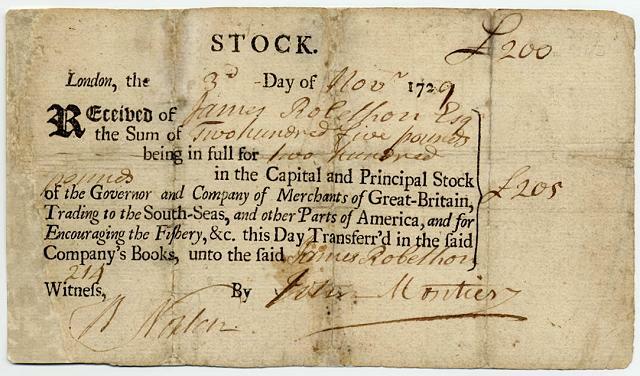 Company stock rose greatly in value as it expanded its operations dealing in government debt, peaking in 1720 before collapsing to little above its original flotation price. 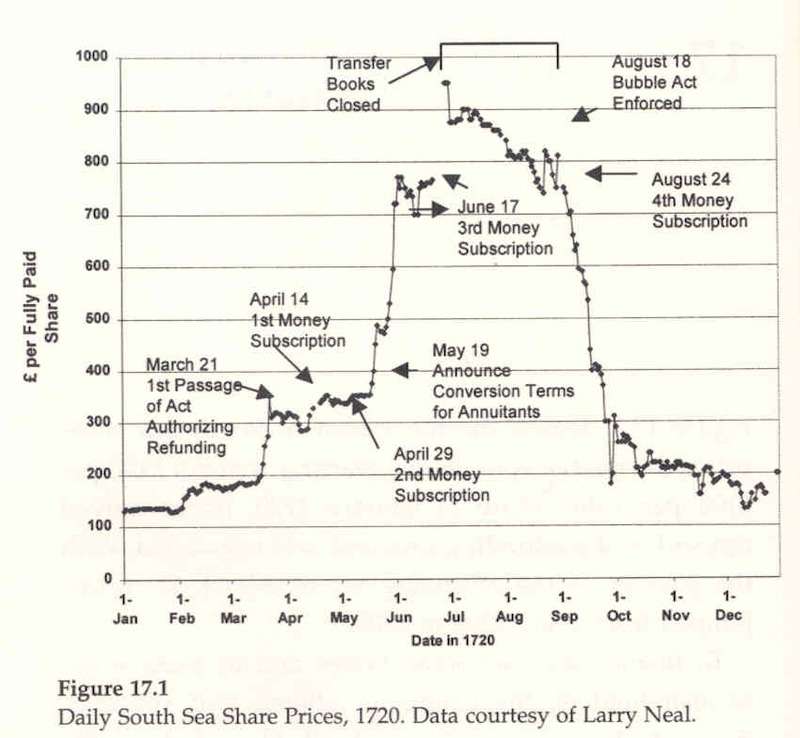 This became known as the South Sea Bubble. A considerable number of persons were ruined by the share collapse, and the national economy greatly reduced as a result. The founders of the scheme engaged in Insider Dealing, using their advance knowledge when national debt was to be consolidated to make large profits from purchasing debt in advance. Huge bribes were given to politicians to support the acts of parliament necessary for the scheme. Company money was used to deal in its own shares, and selected individuals purchasing shares were given loans backed by those same shares to spend on purchasing more shares. 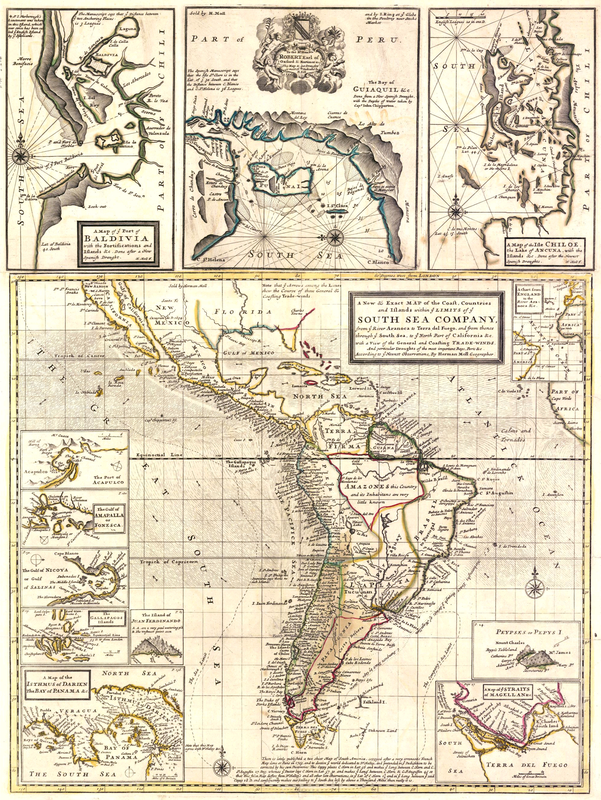 The expectation of vast wealth from trade with South America was used to encourage the public to purchase shares, despite the limited likelihood this would ever happen. The only significant trade which did take place was in slaves, but the company failed to manage this profitably. A parliamentary enquiry was held after the crash to discover its causes. A number of politicians were disgraced and persons found to have profited unlawfully from the company had assets confiscated proportionately to their gains (most had already been rich men and remained comfortably rich). The company was restructured and continued to operate for more than a century after the Bubble. The headquarters were in Threadneedle Street at the centre of the financial district in London, in which street today can be found The Bank of England. 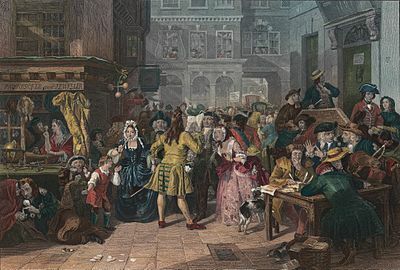 At the time of these events this also was a private company dealing in national debt, and the crash of its rival consolidated its position as banker to the British government. A result of these events was the Bubble Act which sought to prevent fraudulent stock issuing companies coming into existence. Ironically, the act was promoted by the South Sea company itself before its collapse, in an effort to prevent the increasing competition for investors which it saw from companies springing up around it.